The 12 hour candle next to the red candle is a ZL candle: all that we could really expect out of those 12 hours was either a ZL and weak close or another red candle. Now that there is a new open price has a better chance of making its way above S&R. I continue to study line break charts and my personal feeling is that one would have a 1, 2, & 3 break of the same chart period as their charts and in that order. A 15 minute line break chart is similar to a 30 minute time chart...that's nice to know. "Body (or series of candles) in the direction of profit, wick (gap, steep move, rebound) in the direction of loss"
Hello Kreslik!, back with a brand new competitive broker and a better attitude. The babies aren't as small of babies anymore and got myself on the right footing at work. Will no longer take for granted the time and ability to trade. So with the help of the great folks here and its affiliates I hope to figure this out. I know quite a few of you folks personally and appreciate walking the path with you. I will document every trade I take here in my thread and will be checking out all of the threads. I think I've finally figured out some of the basics, which is hopefully why I haven't been able to progress. This is my third week back live trading. Plan is to cycle 3 weeks trading and take a week off to really study. Thank you! Last edited by Libertarian on Wed Oct 03, 2018 12:53 am, edited 1 time in total. Same thing on the cousin here. Took a hit, took a small win. Jumped back in and would have been the trade I was looking for, but couldn't manage my emotions after taking the big hit in GN at the same time. First order of business is to finally figure out how to implement 8ths MM. Was told by the all Mighty One that its about 75% of trading and is my biggest issue right now. 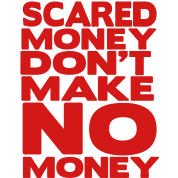 Scared money don't make money. Libertarian wrote: Hello Kreslik!, back with a brand new competitive broker and a better attitude. The babies aren't as small of babies anymore and got myself on the right footing at work. Will no longer take for granted the time and ability to trade. So with the help of the great folks here and its affiliates I hope to figure this out. I know quite a few of you folks personally and appreciate walking the path with you. I will document every trade I take here in my thread and will be checking out all of the threads. I think I've finally figured out some of the basics, which is hopefully why I haven't been able to progress. This is my third week back live trading. Plan is to cycle 3 weeks trading and take a week off to really study. Thank you! I think I'm just going to be a scalper (at least to get things going). But this darn position trading is what I started with and (I wish) know. I know the answer is macro pips and lines (I'm getting there! Time is short ). I'm looking for the perfect entry and it rarely seems to be there. I was hoping to either wick in or sell it as it crossed my lower line. But the spread for my broker blows out for 1 hr at the end of the day, and they still have the liquidity to smash it right through my line . It was there, just gotta (be there to) push the button sometimes. We'll see if they come back and try to X out some more positions.